In line with the challenge to post daily something that we are thankful for in November, I chose today, my enemies. Yep, you read that right and I sincerely mean it. You see, when we allow God to use our enemies to drive us to Him, to seek His refuge, comfort, peace, meaning, and direction after experiencing the brunt end of our enemies’ jealously, hate, and drive to discredit and slander us … well, it can result in our faith roots going deeper and wider, us depending on, relying on, cleaving to, believing in and having faith in Jesus more than ever before, which is GOOD THING. When we choose to filter the experience through God’s filter, His Word, and His will, which involves us FORGIVING them, the entire experience produces in us greater resilience, while it exposes areas in our hearts that God wants to touch and heal. It gives us the opportunity to receive revelation of the truth of God that uproots lies embedded in our identities that might not otherwise be removed. It ultimately can set us free to be all that God destined and purposed us to be, in addition to preparing us for our destiny. I’m not minimizing the pain and suffering enemies cause us, at all. I know full well the deep pain and anguish they cause, especially those we once trusted. Heck, even those we never trusted, can inflict terrible pain in their quest to step on us in order to elevate themselves. There are some that may even be like the thorn in the side Paul spoke of. I’ve got one that has been discrediting me for decades and just when I think she’s left me alone, God reveals the fruit of the lies and contention she started and keeps up. I’ve actually grown to feel sorry for her, as well as another who surfaced when we relocated to the Tampa Bay Area. Think it not strange that they are connected. 🙄🤦🏼‍♀️ And there have been countless others in between that for whatever reason, choose to intentionally do harm to me. I’m sure that it’s happened to you as well. I think we’ve all experienced it. I have a choice every time I find out about anyone saying or doing something to hurt me, to discredit me, to cause strife and discord, and the bottom line is if I don’t choose to forgive them, I’m aborting my destiny and positioning myself outside of God’s perfect will. That’s what we do when we choose to not forgive. We separate ourselves from God. We don’t want to go there because it develops into bitterness and has been connected scientifically to disease and illnesses. The Good News is that through His Son, Jesus Christ, God bridged the gap to reunite us in relationship with Him, our heavenly Father. When we choose to forgive, even when it hurts and we don’t feel like they even deserve it, we are freeing ourselves. I get it. There are times I simply don’t want to and have honestly wished God would do some thing terrible to them, a lot like David asked God to do to his enemies, including Saul, his once spiritual father. When we choose to turn to the scriptures, to God’s Word, it has a LOT to say about enemies, jealously, revenge, and trusting God in the middle of situations that leave us feeling like we can’t get the knife unstuck from our backs. In those times, I recommend that you say it over and over, if need be, that you choose to forgive them …. just as Christ did on the cross … for they do not know what they are doing. Turn to the Word, feed your spirit man and watch God use it develop a greater intimacy with you, which is what He wants. It’s what we were created for. After a while, when you hear their name, you won’t feel that knife and when you begin to pray that God blesses them, you might experience a warmth of love towards them. Yeah, crazy, huh? Truth is also, that hurting people hurt others and it’s likely that they are deeply wounded people, insecure in their own identities and holding onto hurt that happened to them … often that may have nothing to do with you. Freedom from them won’t happen if you hold onto the hurt, what they did wrong and choose to replay it over and over in your mind. You gotta let it go and the only way to do that is by asking Jesus to help you to do it. Ask Him for the grace to forgive them as many times as you need to. I mean, that’s great if you can do it without His help, but from my experience, I desperately needed Him to help me, because my flesh wanted to do different. Once you commit to feeding your spirit and allowing God to search your heart to expose possible lies He wants to replace with Truth, you’ll experience not only freedom, but deep inner healing … eventually. It’s a process though, and depending on the depth of the betrayal and pain, it may take a while. Also, if they keep coming at you, it’s gonna take you choosing to embrace the process over and over. But, the outcome is worth it. When your perspective changes to that of realizing it’s an opportunity to heal and grow, it’s something to be thankful about. Over the years, I’ve assembled some of my go to scriptures for situations like this that I’ve posted below. Friend me on YouVersion for access to Notes on this topic and others. 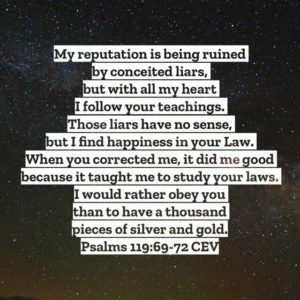 Rather than write about these scriptures, I’m just going to share them with you and thank God that as you read through them, that His Word will accomplish what it’s set forth to do. And if you’re my enemy and reading this … thank you, because of you and what you’ve done to me, I am walking in the fullness of my destiny. For some stories about enemies and how God used them to prepare individuals for their destiny, check out the story of Joseph, as well as, David and Saul in the Old Testament. The story of Jesus in the New Testament is the ultimate story of triumph over our enemy. All experienced decades of enemies and wrong doing to them, but God used ALL of it to prepare them to be great leaders, for their destiny and purpose.